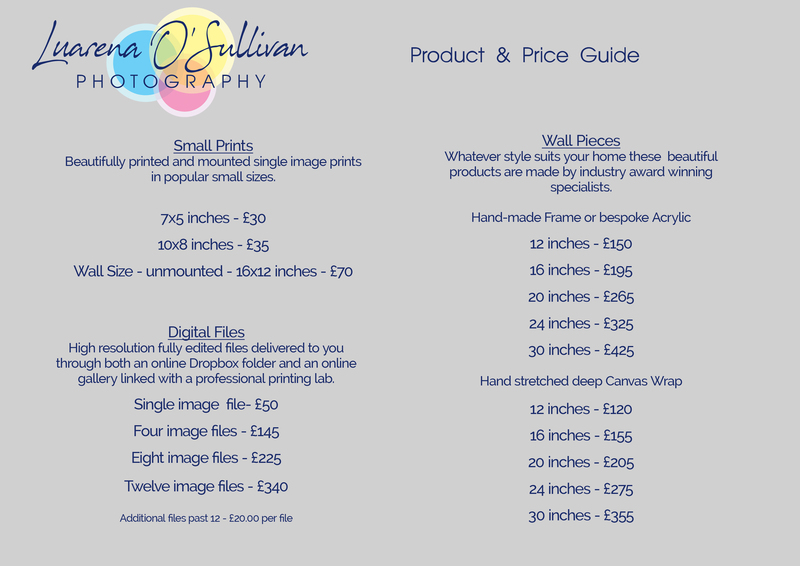 This is a guide to the products I can provide, final prices depend on size, finish and quantity. All products are made by industry specialists and are beautiful. Guaranteed. I offer a no obligation service and all decisions on what to buy are made when you are viewing your photographs.